Add a classy accent to any outfit with Abbie Faux Pearl Necklace Set. 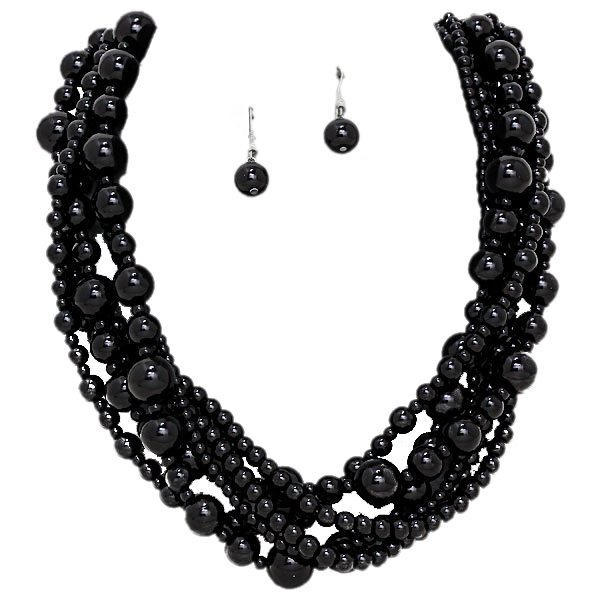 This gorgeous necklace showcases multiple strands of black faux pearls in different sizes. Earrings with black pearl drop. Fashion jewellery Australia at its best, hot design, top quality and simply affordable.